The most famous name in motorcycling. Bonneville stands for freedom, open roads, independence and some of the most stylish motorcycles ever made. Still looking, sounding and feeling like a proper motorcycle should, today’s Bonnie connects you to over 50 years of heritage but is built with everything that comes with modern engineering too. We’ve made sure that, to this day, a Bonneville retains all that's great about the name. You still get the breathtaking looks on a bike that is dependable enough for everyday use, easy and fun to ride. All at an entry level price. So you can still feel the same ride today as they did way back. 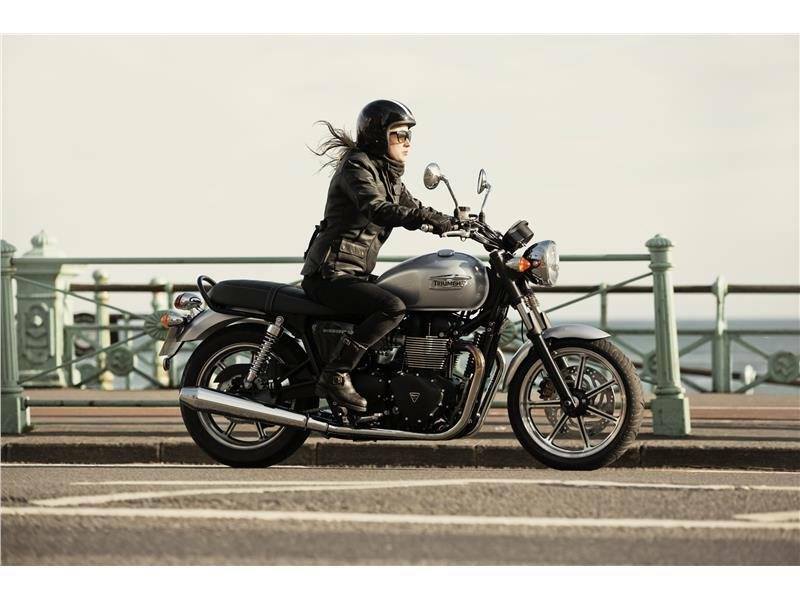 Frame: All of our extensive chassis experience and technology has gone into the Bonneville’s simple tubular steel construction. Providing easy, neutral steering and exceptional balance even at low speeds. Brakes: Inspired by the 1970’s Bonneville, we’ve given the modern one a single disc brake at the front for a strong, progressive feel and a second disc for the rear producing performance alongside plenty of stopping force whilst maintaining the overall balance of the chassis so every moment of your ride is confident and controlled. Wheels and Tires: The cast aluminum wheels on the modern Bonneville look like they've just rolled out of the 1970s - thanks to the application of modern engineering they are lighter than those fitted to historic T140 models and also benefit from up-to-date tires. Riding Position: The thing that makes the Bonneville a bike for riders new to big bikes as much as those into the classic style is the riding position. The long flat seat suits riders of all heights and we’ve laid out the bars and footrests to create plenty of space so you won’t feel cramped even on a long ride out. We've even added a grab rail, so your passenger can enjoy the journey too. 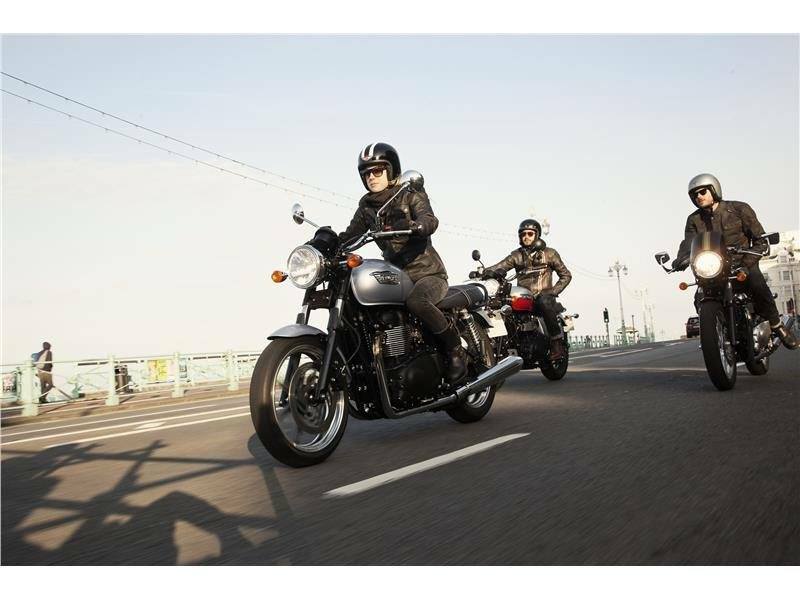 It’s all put together so that you feel natural and in firm, confident control around town, at speed on a motorway or feeling the thrill of your Bonneville along a sinuous back road. 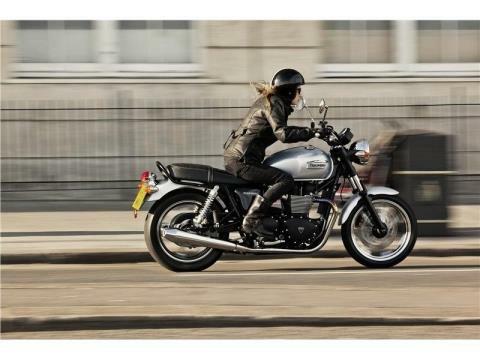 Seat Height: A seat height of just 740 mm is the best way to get the classic, natural Bonneville riding position. So that’s the height we set it at. Suspension: Looking good whilst working hard isn’t easy. But the 1960’s style twin shocks fitted at the back come with a chrome finish and modern damping internals. As do the traditional-looking forks. And that makes the ride of your Bonneville smooth and controlled, even on bumpy roads and cornering at speed. 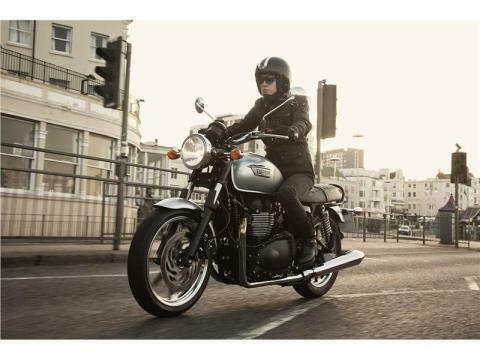 Handling:	The chassis on a modern Bonneville is as good as the engine. In fact, the engine is part of the chassis. We’ve built a traditional style tubular steel cradle design and included the engine as an integral component for a stiffer, stronger chassis and more precise ride. Combining classic looks with modern engineering so that you get iconic Bonneville riding characteristics and modern handling. 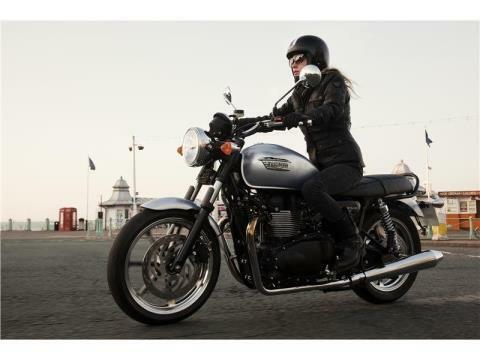 Performance: From day one Bonnevilles have been built to be ridden, not just to look good. Today, this 865 cc parallel-twin puts out a healthy 68 PS with 68 Nm of torque at its peak, with plenty available at low revs so you get most use out of it. The fueling is controlled by a sophisticated management computer programmed for clean emissions and a smooth, predictable throttle response. So there’s enough performance to be fun for experienced riders but not so much that will intimidate riders with fewer miles behind them. Configuration: A pair of cylinders still stand upright and proud at the heart of the Bonneville. With a wide bore and short stroke that adds up to 865 cc for high levels of efficiency and low wear, with 4 valves per cylinder for the best breathing and power. There are balance shafts tucked away inside the crankcase so you’ll notice very little vibration for a parallel-twin and, being air-cooled, there’s no radiator to spoil the view. Practicality: Behind the classic looks and iconic engine lies a practical and modern all-rounder. There's nothing temperamental or over-demanding about the engine either, making the Bonneville an ideal daily commuter – all be it an inspiring, stunning, timeless, iconic, famous, daily commuter. Technology: We’d never sacrifice what makes a Bonneville a Bonneville. 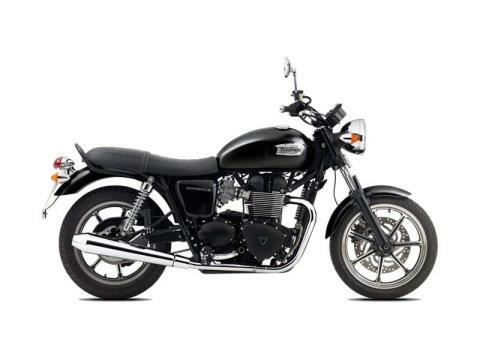 So, although today’s bike is modern where it matters, it will always look, sound and feel like a Bonneville should. These days there’s electronic ignition and fuel injection for better reliability and low emissions yet a punchier, more responsive throttle. We added the wet multi-plate clutch to give you a progressive yet lighter lever action. And while the hydraulic disc brakes are powerful, they are never intimidating. 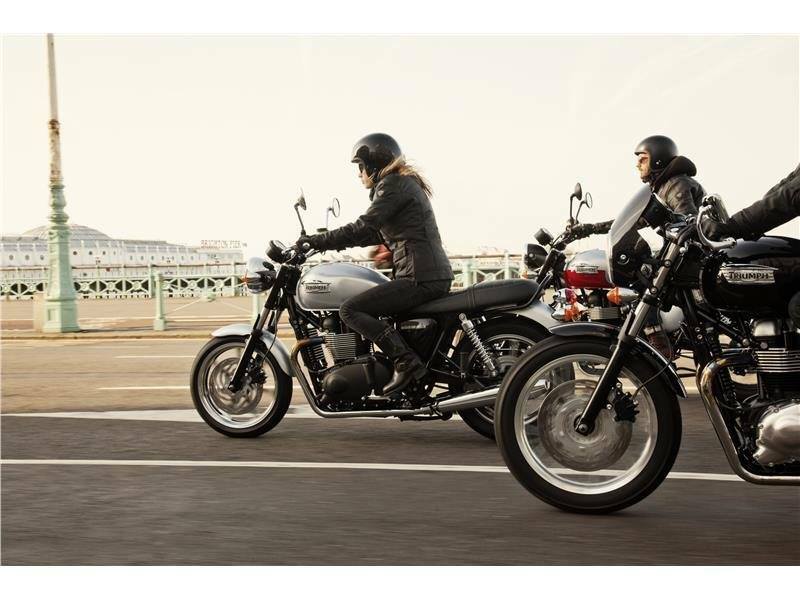 What we did was combine our heritage with the latest motorcycle technology to give you the famous Bonneville ride every single day. The Look:	It’s all there for you. The sweeping curved top of the fuel tank, authentic twin rear shocks, long reversed cone silencers, the chromed headlight bowl and yoke mounted instrument pod. Pure, classic Bonneville. 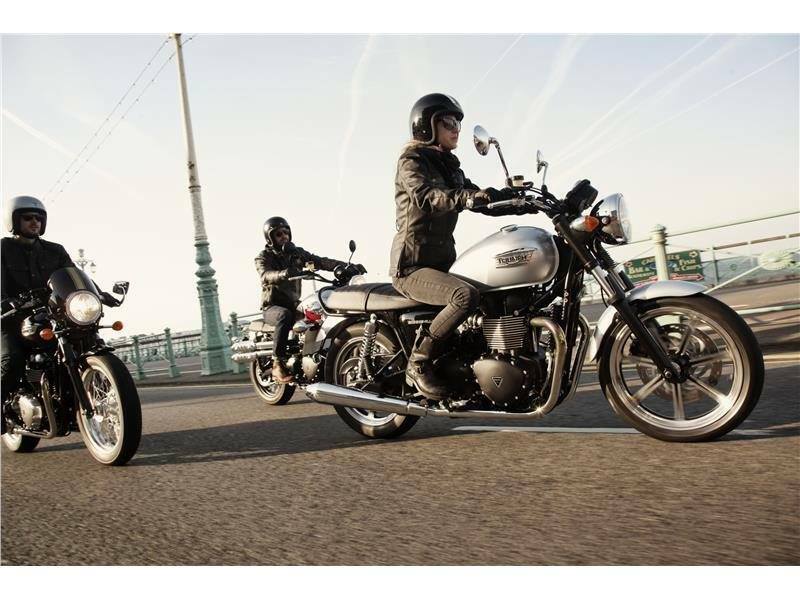 Engine: The iconic, air-cooled parallel-twin sits proudly at the heart of the Bonneville. Setting the style for the entire bike. The engine and transmission has been engineered with the look of the classic Triumph twins in mind. Even the fuel injection has been molded so you get the appearance of a pair of carburetors and there are double overhead camshafts despite what looks like a pushrod tube at the front of the engine, just like Bonnevilles used to have. Wheels: Cast aluminum, just like the ones used on Bonnevilles in the 1970s.